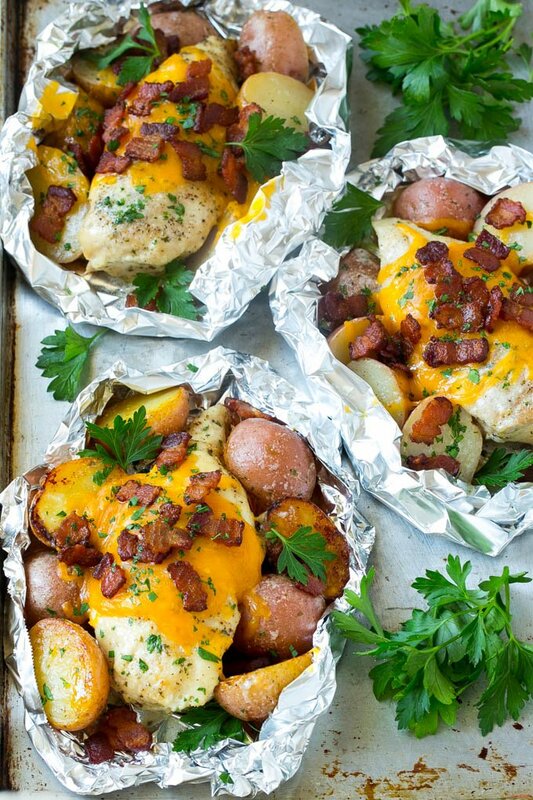 Foil packets are reliable recipes when I need to make a easy dinner that everyone will enjoy. I love the way the flavors of everything in the foil packets complement each other. Some other great foil packet recipes are salmon foil packets and chicken fajita foil packets. 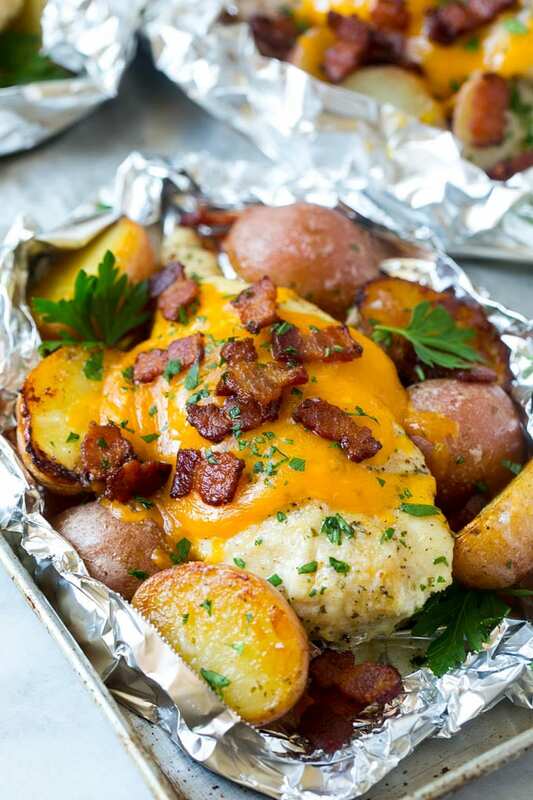 How Do You Make Bacon Ranch Chicken Foil Packets? Question if you don’t have ranch seasoning pack can you use regular ranch dressing? I’ve never tried it that way before, if you did that you may want to use less butter since there’s already fat in the dressing. I’m prepping meals for my Mom and Dad. Could these be prepped then frozen to be used later? If using the grill, how high should it be. For a gas grill you’ll want to grill at medium! 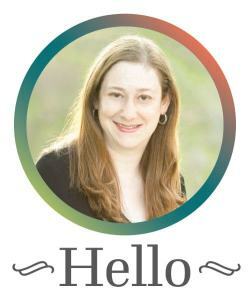 Just made this and it’s now going to be in my monthly rotation. I love hidden valley ranch packets so this was right up my ally. I added sour cream and green onions when I plated mine vs fresh parsley. Thanks for sharing. When it says make a packet should this be totally closed to cook? Yes it should be closed, you can watch the video to see how I do it! If your foil doesn’t close completely then add a second piece over the top. Hope that helps! Made these tonight and added broccoli. It was perfect! Easy clean up and my boyfriend loved it too! (Hes typically not a fan of chicken) Thanks for a great recipe! I have not tried that so I’m not sure if it would work or not. I might try using a different seasoning if you have it. This was delicious and something different for dinner. I used cheddar and mozzarella on one packet and in my packet I used pepper jack since it’s my favorite cheese. This would also be good with asparagus or fresh green beans added with the potatoes which I’ll do next time. Thought I had ranch dressing mix but I didn’t. Used a Garlic and Herb dressing mix I happened to have on hand instead and turned out amazing! I added a little green onion and bell pepper. Soooo good and easy to throw together. Will definitely make it again! I felt like a real cook making this. Turned out perfect. I used guacamole mix and paprika. I cooked this last night and it was so delicious. I’m having a hard time cooking right now and this was so easy to make but tasted so good. I added an onion and it added an extra punch of flavor. Oh so good. My husband HATES ranch, any suggestions for a substitute? Are frozen or thawed chicken breasts used? 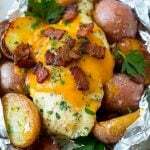 This recipe is for thawed chicken breasts! Had these for dinner a couple nights ago. 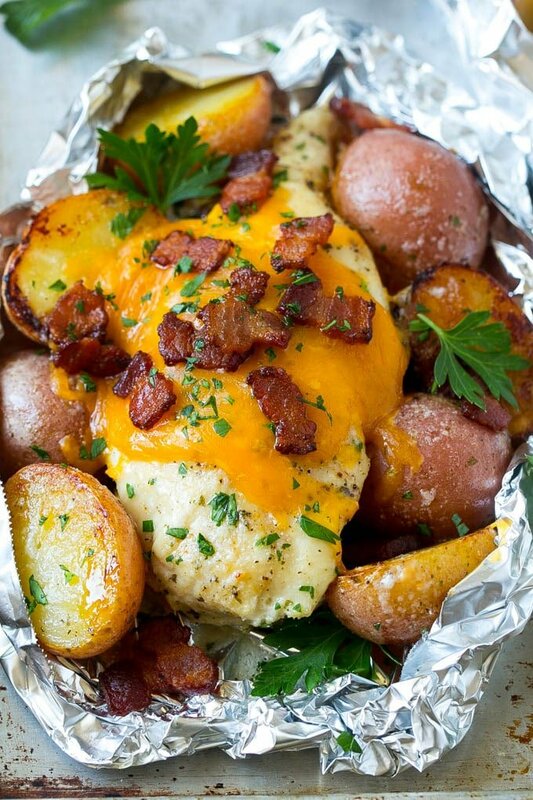 What a great change to foil dinners! I might even get crazy and add some broccoli next time! Looks great, easy to make and minimal clean up. All I can say is yummy! These were wonderful! These looks amazing! I love ranch and bacon!